Based on the latest statistics from the Small Business Administration, a new startup has about a 50/50 chance of surviving for five years or more. To increase your startup’s odds of not only surviving but growing and prospering for decades, you need to establish a strong foundation in the very beginning. “Your priorities, your commitment to the business, during the first year will affect everything else that happens during the life of your business,” notes Robert Tuchman, author of Young Guns. 1. Build a culture of action and enthusiasm. During your first year, you will face a lot of questions about your experience. The best — and probably only — way to overcome them is to impress clients with your vigor and dynamism. If you want to be perceived as youthful, forward-thinking and results-oriented, be proactive! Reward your people for taking the initiative. You’ll have a huge competitive advantage over established companies. Many clients will pay, and even take a bit of a risk, to get young, energetic minds on their side. 2. Take daily action on your business plan. What separates successful entrepreneurs from floundering entrepreneurs? A daily commitment to fulfilling the benchmarks, both short- and long-term, you have set for your company. Every day, you have to be willing to put the time in and do what needs to be done to move your business forward, in a measurable way. For some people, this means making ten sales calls a day, no matter what. for others, it means conducting a daily status meeting and troubleshooting with your team. 3. Get your website up and running. Your website has to say “This is who we are” to the world in a way that’s compelling. A great web design doesn’t have to cost a fortune. If you don’t have the HTML skills or graphic talent in-house, look for a young and hungry web designer who’s looking for a shot, as you are. Expect to update your website regularly and improve it constantly over time. Having a website with months-old or irrelevant information is a real deal-killer. It makes your company look stagnant, at best. 4. Talk to absolutely everyone about what you do. 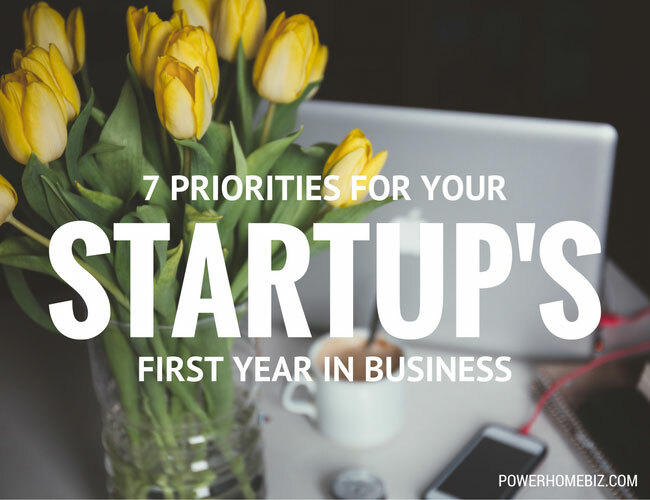 During the first year, you must be the mouthpiece for your business. Talking to people about your business at parties, at family gatherings, at outings like sporting events should become second nature. Consider every person who crosses your path a sales opportunity, even if he or she might not ever be the end customer. In addition to continual word-of-mouth marketing, pick up the phone and call reporters to let them know what you’re doing. 5. Try to fund it yourself, or mostly yourself. It pays to go after the least amount of funding that is necessary. When you’re starting out, it feels good to say that some venture-capital firm invested millions of dollars in your idea. But a few years down the road, when you’re doing well, it will not feel so great to know that you own only 25 percent of your company. 6. Get connected, no matter what. During your first year of operation, it’s extremely important to develop new relationships and meet people in your industry. You can’t just wait for those connections to happen. You need to spread the word, one way or another — even if it makes making 100 cold calls a day to potential clients. During the first year, and all the years thereafter, you will have to find a way to achieve balance. Basically, this means avoiding the temptation to work eighteen hours a day, seven days a week, without a break. You have to give yourself a break, for the success of your business as well as for your physical and mental health. Find an outlet — a hobby, an amateur sport, or an exercise activity — that gets your mind off work and relieve stress. It’s essential to maintaining perspective and the energy you need to keep your business thriving.